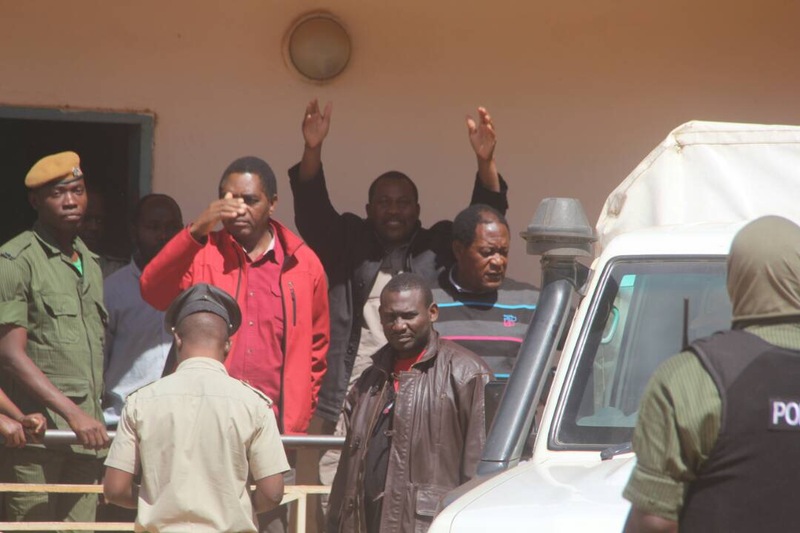 U PND President Hakainde Hichilema (in red and surrounded by Police) jumping on a Police vehicle as he was about to taken to Chimbokaila prison. This was after the Magistrate David Simusamba adjourned the matter to 11th May, 2017. 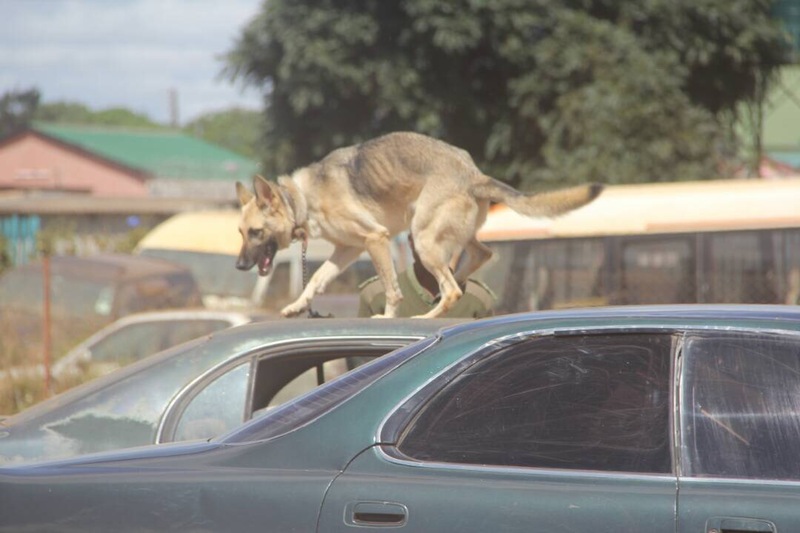 The State Police earlier almost loaded him in a vehicle full of dog feaces and smelling badly. This was immediately after the court hearing in the alleged treason charge matter which has since been adjourned to 11th May, 2017. 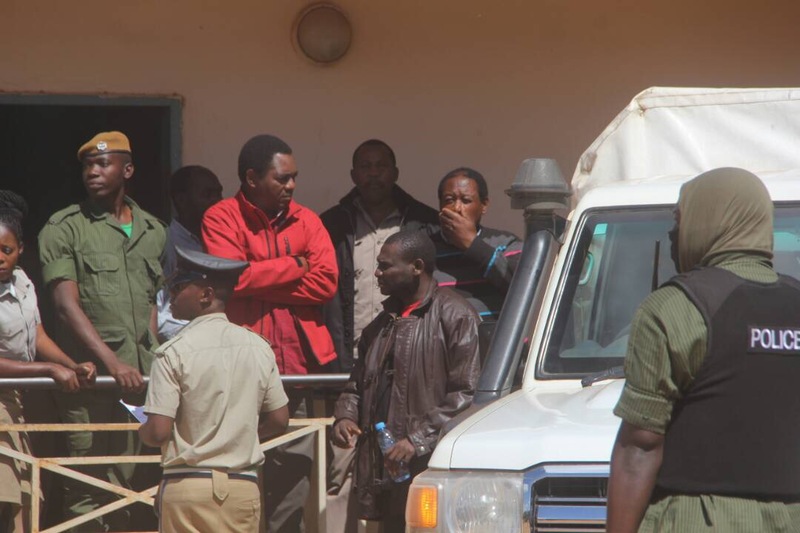 Hichilema and 5 others remain in Chimbokaila prison.